The table for history of file does not fit into the page. Column for comments made this problems. Full table should fit into the page. Aklapper removed projects: Commons, MediaWiki-History-and-Diffs. Hmm, how to do that? 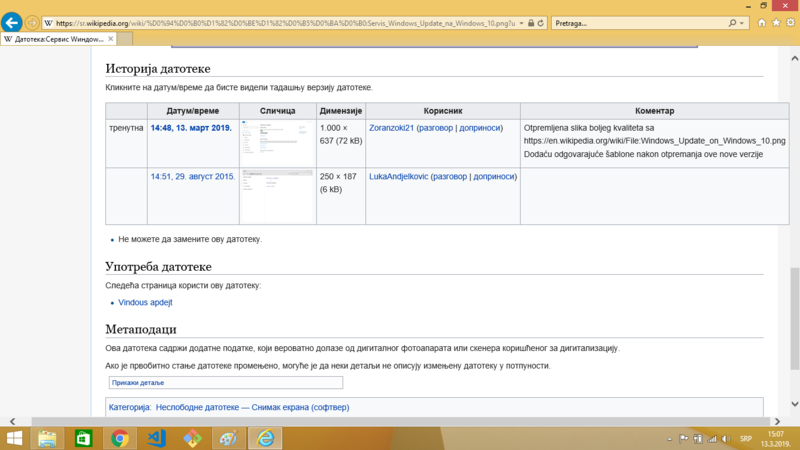 Removing the white-space: nowrap; attribute for the Корисник/User column might help a little bit, but apart from that it's up to the browser how to render tables (and at which characters to add line breaks when someone posts a long URL in the Comment field).